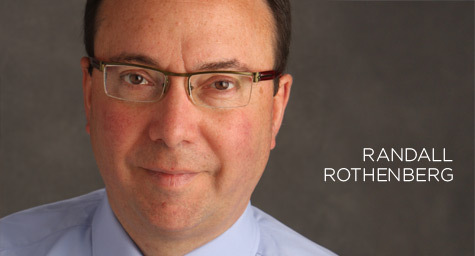 Two months ago, Randall Rothenberg returned to his post as president and CEO of the Interactive Advertising Bureau. Last week, he was the keynote speaker at min’s Best of the Web Awards event in New York. He recently discussed the role of major media brands online over the coming years in an exclusive minonline interview. “Making Measurement Make Sense” – This is a collaboration among the IAB, 4A’s, and ANA to create measurement standards that will simplify the planning, sale, optimization, and growth of brand advertising in digital media, and across platforms, in an effort to showcase the real value of media to brand marketers. “Building Brands Online” – Building on the measurement initiative, an expert panel of executives from creative agencies, media agencies, and publishers selected six online ad formats that use the full functionality of the Web to showcase brands best. For the rest of the year, IAB is encouraging adoption of the formats, with the most successful formats added to the IAB’s Universal Ad Package at the end of the year. “Protecting Privacy” – This is a collaboration among six major trade associations to develop a self-regulatory program that ensures that consumers’ privacy rights and expectations are met in interactive advertising. This self-regulatory program will provide consumers with transparency, control and choice while protecting the advertising industry from outside regulation. “Data Demystification” – This initiative is an effort to develop best practices for demand-side platforms, real-time-bidding platforms, and for the use of data in online advertising relationships. “The IAB’s Mobile Marketing Center of Excellence” – This is a separate unit within the IAB that will devote resources to market and consumer research, executive training and education, creative showcases, mobile advertising case studies, supply chain standardization and best practice recognition in the growing field of mobile media and marketing. “Supply Chain Simplification” – This initiative is intended to eliminate the complexity and cost from the transaction flow in interactive media. The IAB will publish guidelines to make it easier for marketers, media and agencies to understand the details of ad verification, and will be debuting an impressions exchange to remove problems from post-buy billing. In terms of mobile ad formats, the IAB’s Mobile Marketing Center of Excellence reaffirms their commitment to mobile. In March, standardized key metrics for measuring advertisements were established for the mobile interactive industry to provide a framework for governing how ad impressions are counted on the mobile Web. Regarding online opportunities for the print industry, Mr. Rothenberg believes this is a fantastic time for content brands, especially those on multiple platforms. Considering the chaos created by the constant development of new media devices and delivery systems, media brands are the recognized and trusted pillars that consumers appreciate. He says that incumbent media brands need to be much faster and better at innovation and must manage a portfolio of products and services to meet the evolving needs of marketers and advertisers. If magazine publishers can accomplish these tasks, there are great rewards since marketers are searching for strategies and campaigns that live across multiple platforms. With Mr. Rothenberg’s return to the IAB, the industry is looking forward to taking the online arena in exciting new directions in the best interests of everyone.